Goodly: Does Opening Your Mouth Put You behind the Eightball? 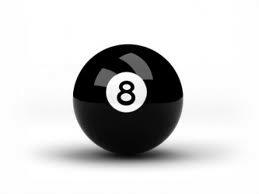 Does Opening Your Mouth Put You behind the Eightball? If you can't sum up your idea in eight words, you'll find yourself behind the eightball, says executive speaking coach Allison Shapira. Writing in The Boston Globe, Shapira recounts a conversation she had with a venture capitalist. The VC told her he cuts business people who want his attention no slack. “Within the first eight words, I’ve decided whether or not to keep listening,” the VC said. If the individual's "core innovation" isn't stated in her first eight words, "it’s probably not there." The VC's take-no-prisoners rule-of-thumb points to the need for good opening lines, Shapira says. But how do you develop one? First, Shapira suggests, decide what you want your discussion to accomplish. What do you want your listeners to know or do? Next, brainstorm possible opening lines. A good opener is simple, unusual, concrete, emotional or storylike. Last, but not least, write down the products of your brainstorming and put the list aside for a few days, so you can consider it at liesure. "Good openers are part preparation and part inspiration, and you need time for both," Shapira says.